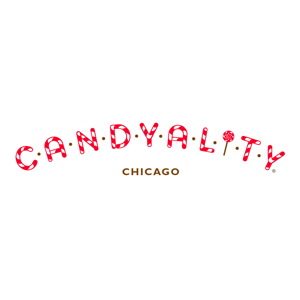 Experience Candyality, Chicago’s sweetest independent retail destination and shopping event! Don’t forget whether you visit our stores or shop on line, discover what your candy choices say about you! Remember at Candyality, you are what you eat! Drawing on childhood memories like the penny candy counter at the local five & dime, the creation of the “Jelly Belly”, or the irresistible “magic” of the sweetest commodity known to man, Chicago entrepreneur Terese McDonald is aiming to uncover your personality connections to confections at her local chain of candy stores. Terese, a former sales and training executive in the prestige beauty and luxury goods industry, refined her candy profiling technique for years to determine individuals’ “selling personalities.” She then used her findings to custom-tailor selling skills seminars for her team of over 500 U.S. sales associates. With spikes in sales productivity as people connected with their inner candy-eater, Terese was soon asked to expand the program to her company’s group of international trainers, where it was unanimously adopted. She discovered that candy is universal, easily transcending culture, age, race, religion, and economic status. It speaks to everybody, and nearly everybody (the occasional dieter notwithstanding) loves it! Once in a while, the opportunity to write a new chapter in one’s life comes along. Terese, a born and bred Chicagoan who had dreamt of starting a retail business in her own backyard, realized that the concept that she had refined through her training experiences could be grown into just the sort of shop her neighborhood and Chicago needed. She opened her first Candyality location in December of 2007! Aimed at being more than just a location to satisfy one’s sweet tooth, Candyality hopes to become a business and concept as widely accepted as reading tea leaves, tarot cards, or zodiac charts. While no definitive scientific research can be quoted, a comprehensive (and delicious!) body of work has uncovered many candy-personality links, including: competitive (sugary), good listener (fluffy), negotiator (crunchy), creative (colorful), and more.